Track Shack - Running: Good For the Body & Great For the Brain! Running: Good For the Body & Great For the Brain! We all know how good it feels when we take our morning or afternoon run. The fresh air clears our heads. It feels awesome to stretch our muscles. To tackle those miles. 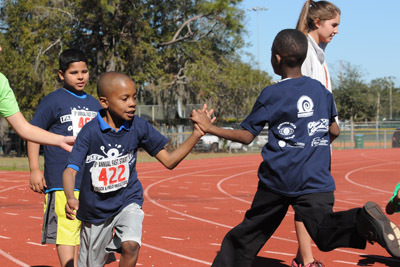 We know, too, that a running routine makes a lasting impact. Cardiovascular health, bone density and keeping your waistline trim are just a few of the physical benefits. And yeah, it feels great to achieve a new 5K PR or conquer your first half marathon or marathon, but if you think these are the only benefits of being a runner, think again. Aerobic exercise also does wonders for your brain. In recent years there’s been a dramatic increase in scientific evidence pointing to the powerful connection between physical activity and long-term brain health. And did you know that, while the brain comprises only 2% of the body’s weight, it consumes 15 - 20% of the body’s blood supply and oxygen? So activities that keep the blood pumping and oxygen flowing are very important for the brain! And, as we mentioned, besides doing your body good, running feels good. Exercise releases endorphins, stress hormones that help calm the brain and alleviate pain, and produces Brain-Derived Neurotrophic Factor (BDNF), a nerve cell protein which keeps your existing neurons functioning and growing, and even spurs the growth of new neuron cells. In fact, decreased levels of BDNF have been observed in depressed people. So think about this the next time you lace up your running shoes – a regular jog around the block may contribute to the alleviation of depression, protect against nerve cell death, stimulate new brain cell growth and strengthen the connection between brain cells. And, the best part is, it takes just 30 minutes of aerobic exercise three to five times a week to yield significant brain benefits. Now that you know how important it is to get the blood pumping, here’s something else you can do to keep your brain strong! 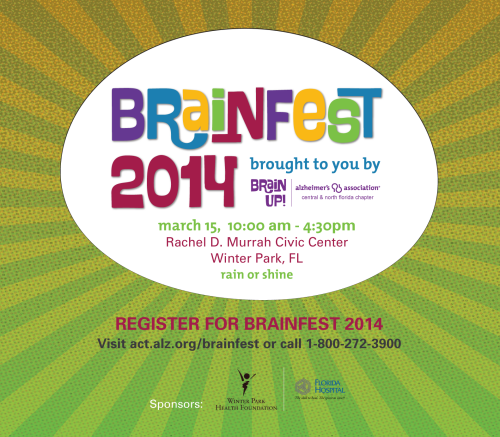 Come to the BrainFest on March 15th after the Winter Park Road Race at the Rachel D. Murrah Civic Center and celebrate your brain during this FREE, fun-filled day of brain-boosting education, entertainment and activities designed to inspire people of all ages to live a brain-healthy lifestyle. 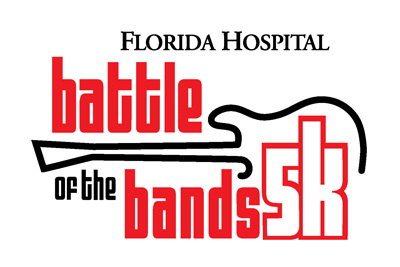 Sponsored by Florida Hospital, BrainFest will help you learn tips and tricks for keeping your brain strong all life-long. 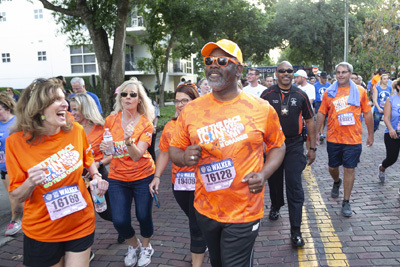 Register at http://act.alz.org/brainfest or call 1-800-272-3900.